Hoover has a long, reputable history in vacuum technology, ranking among the most popular vacuum cleaners available in retail. These powerful, easy-to-use products help keep your house clean, from floor to ceiling and including the air in between. There are a variety of Hoover filters available for the many Hoover Vacuum models out there, be sure to refer to your manual. Changing your Hoover Vacuum filter or HEPA filter regularly will keep unwanted pollutants out of your air, and will keep your vacuum’s motor running at its best, increasing the life of your vacuum. With genuine Hoover filters, you can keep your home Hoover clean! 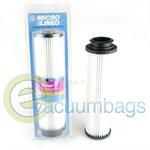 Activated carbon or charcoal filters work to absorb odors as you vacuum. These filters are popular in households with pets. 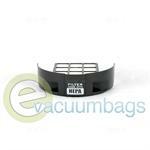 HEPA filters are available for select models. A filter that meets HEPA standards offers high levels of filtration, removing 99.97% of pollen, dander, mold spores and other microscopic particles as you vacuum. Ideal for allergy or asthma sufferers, or for anyone concerned about their indoor air quality. Some Hoover filters are washable and re-usable, but this does not mean there’s no need to buy a replacement for such a filter. Having a spare on hand while the other filter is being washed is clearly beneficial, and any washable filter that shows signs of wear and tear should be replaced. 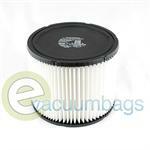 Hoover Cartridge Wet/Dry Canister Vacuum Filter for Hoover Models S6631, S6635, and S6641. 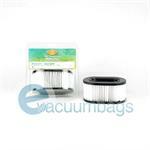 DVC HEPA Vacuum Filter for Hoover Dirt Cup and All Bagless Uprights with Twin Chamber System. 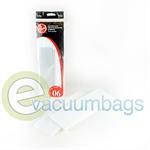 EnviroCare HEPA Filter for Hoover Bagless Uprights with the Twin Camber System. 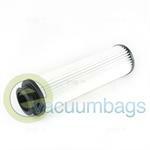 Hoover HEPA Filter for Foldaway and TurboPower 3100 Model Vacuums. Generic EnviroCare HEPA Final Filter for Hoover Self-Propelled WindTunnel Upright Vacuum Cleaners. 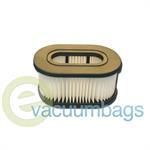 Vacuum Filters for Hoover Model Vacuums Accepting Type 06 Filters (Such As Self-Propelled bagless WindTunnel Uprights). Replacing your Hoover Fold Away and TurboPOWER Fold Away vacuum cleaner filters regularly can help improve suction and help extend the life of your vacuum. 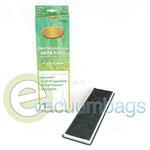 Genuine Hoover HEPA Exhaust Carbon Square Filter for Hoover WindTunnel T-Series Upright Model Vacuums.